Ready To Remove Your Tattoo? Life is always a series of decision. There are some moments in life that we would like to save and carry with us forever, like a night under the stars with a dear group of friends, the birth of your first child, that job promotion, and many other great life events. There also the not-so-great moments. You know, the moments which involve a rash decision, or a decision whose full weight we did not appreciate at a certain point in our lives. Well, this can be the case with a tattoo. Fortunately, even if we have made those those rash, and/or poor decisions surrounding ink and needles, there is a way to get beyond the stain of what could have been a poor judgement. Tattoos are not necessarily awful or bad things to have. They can be a point of bonding, brotherhood, or a mark of something important and lasting. And, conversely, they can also be the tag of something less meaningful and more embarrassing. That is where tattoo removal comes in. When you need a tattoo removed, there is an option that only the Men’s Vitality Center can provide. Perhaps you have moved on to new career opportunities, your tattoos have faded, the artwork is poor, or the tattoo reminds you of an unpleasant past memory. Tattoo removal is a way to change the past and progress with life unhampered by the colors on your skin. 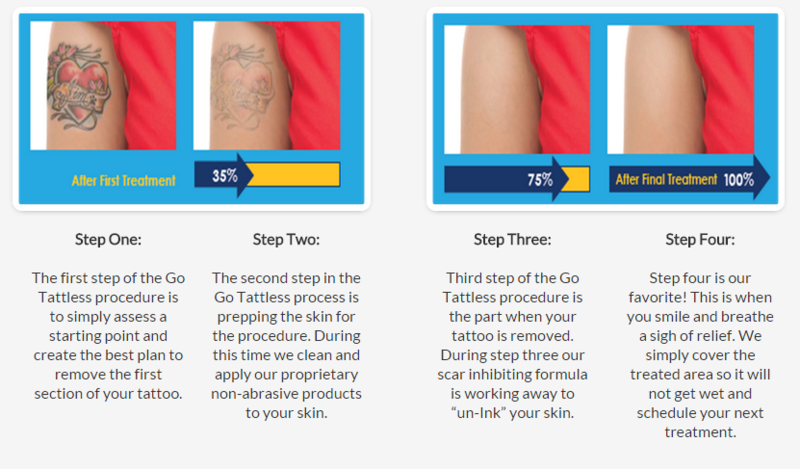 Traditionally, laser tattoo removal has been the best practice for removing unwanted tattoos. The problem with laser tattoo removal, is that it is extremely painful. Plus, laser tattoo removal can cause unwanted scarring. The other alternative to laser removal is cream, but tattoo removal creams tend to be very ineffective, leaving your tattoo worse than before treatment. Generally, tattoo removal creams only work on black and gray tattoos and they take an eternity plus an enormous quantity of tattoo removal cream to remove (hopefully). Your body is a valued space, and something that should be treated with respect and dignity. If at some point in your life your views of your body, and tattoos, do not match those of your earlier years, then the Men’s Vitality Center wants you to be aware of the most effective option for tattoo removal. Schedule your appointment to see your medical providers at the Men’s Vitality Center today.